When it's time to get a new car, treat yourself to a touch of luxury. You've been looking at buying a luxury car for awhile, and now is the time to get it. 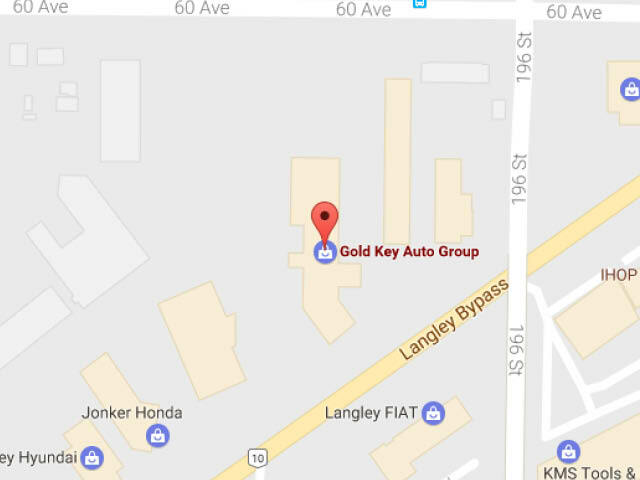 When you've got an Audi in mind and are looking for the Audi A4 for sale near Burnaby, look to Gold Key Auto Group in nearby Surrey. At the Gold Key Auto Group, we've got multiple locations to serve you better. For Audi vehicles in particular, try our Audi Langley location. You're sure to find the perfect Audi A4 for you and your lifestyle from our great selection. Let any of our knowledgeable sales team members help you find the one that works best with your needs and budget. We're always available to answer any questions you might have about our vehicles as well. At Gold Key Auto Group, we are committed to providing you with an exceptional service experience from the moment you first enter our dealership until well beyond the sale. The Audi A4 sedan is truly in a class of its own. Luxurious and beautiful, it leaves a lasting impression that is guaranteed to turn heads when you drive past. The available LED headlights are striking and light up the road so you can attract attention while seeing what's ahead. For even more convenience, the A4 offers a powered side mirror option that makes adjusting and folding a breeze. The best part? They're heated, too, which helps keep the chill of a winter morning at bay. Inside, the Audi A4 comes with an available ambient LED interior lighting package, providing a welcoming glow when you enter the cabin at night. The A4 also offers a power sunroof and MMI control panel for your convenience, as well as a three-spoke multi-function steering wheel that keeps precision control at your fingertips. Choosing the Sport plus package will get you dynamic steering, sport suspension, a black cloth headliner and front sport seats with four-way power lumbar adjustment for the driver. When it comes to available technology, the Audi A4 doesn't disappoint. The optional virtual cockpit redefines what an instrument cluster should be, and turns every trip into a new digital experience. The LCD screen is 12.3 inches of high resolution to present you with important information quickly and easily. Want even more? Enhance your driving experience, stay safe on the streets, and park like a pro with the A4's available cutting-edge safety systems. If you're worried about performance, fear not, for the Audi A4 delivers. The 2.0 L TFSI engine combines power and efficiency for an exceptional driving experience every time you get behind the wheel. There's 15% more power available compared to the predecessor and you'll get 252 horsepower and 273 lb-ft of torque to take you wherever you need to go quickly and efficiently. When you're driving an Audi, you're always traveling in style. I have never had a bad experience. They have a great team from service to sales floor. I highly recommend them and always tell people what great condition my Jetta is in! Just got my car back from warranty work. They performed the warranty no questions asked despite the fact that I have no prior service history with them (just moved to Langley) and it being 10 days out of warranty. Sheri the service advisor was prompt and kept me updated. Definitely earned me as a customer. I am in love with my fancy new ride. Drives like a dream! Every member of your team at Gold Key Auto Group had exceptional customer service. Buying a car can be nerve racking and overwhelming at times. Your team helped me have confidence in the entire process. Thanks again for everything! See you on the road! Drive safely everyone!